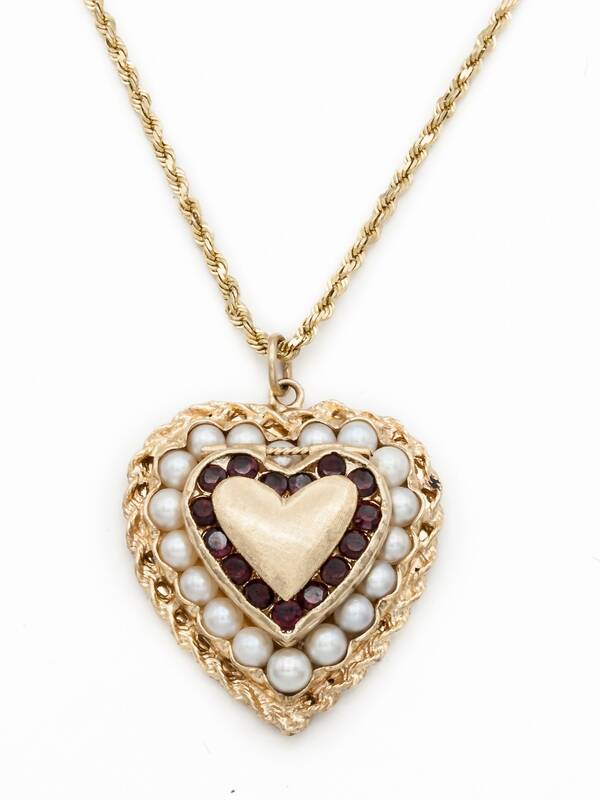 Heart shaped locket of 14K Yellow Gold with fine Akoya Pearls and Garnets. 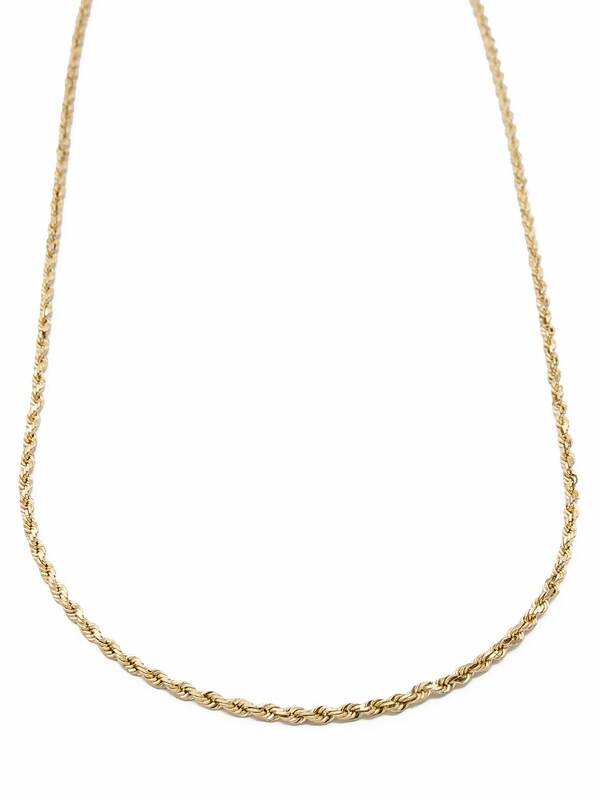 Exceptionally Heavy. 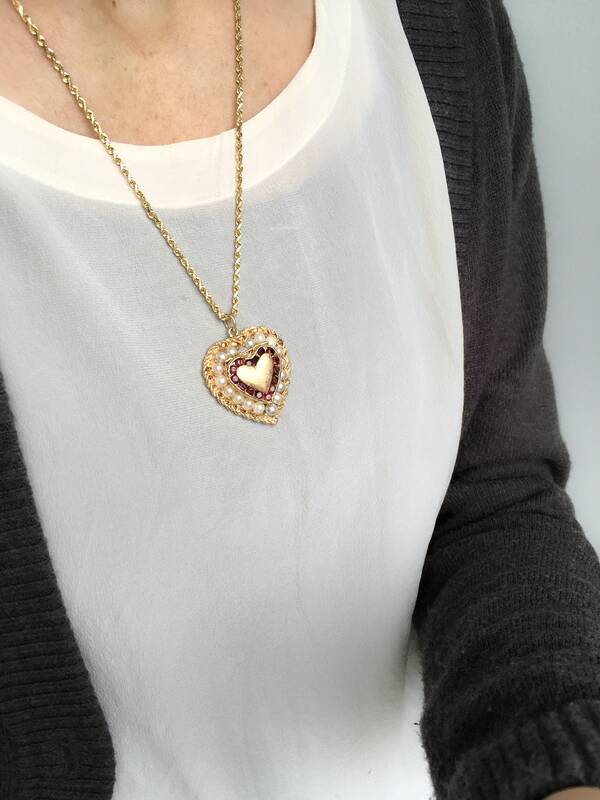 Engravable. Vintage & Pristine circa 1960. 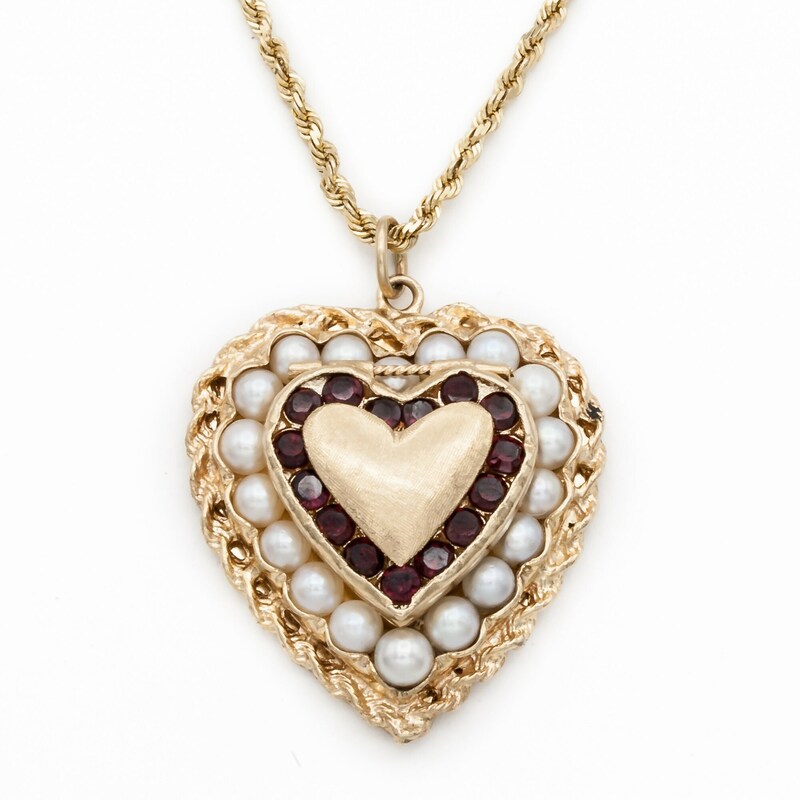 Perfect for Valentines Day or any day, this substantial 14K Yellow Gold Locket is set with 18 fine creamy Japanese Akoya cultured Pearls and 15 round faceted natural red Garnets. 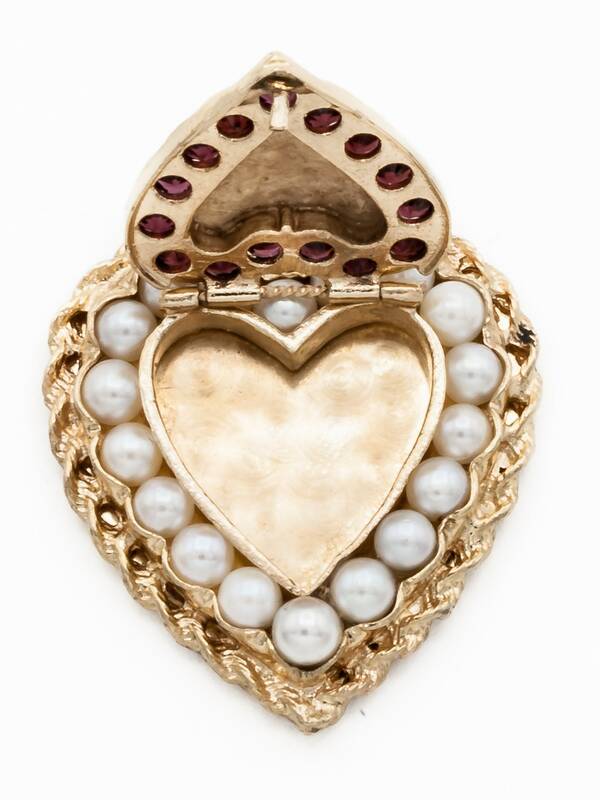 This piece was produced in the 1960s probably in New York City when gold was less costly. Thus it is very heavy and in perfect condition. 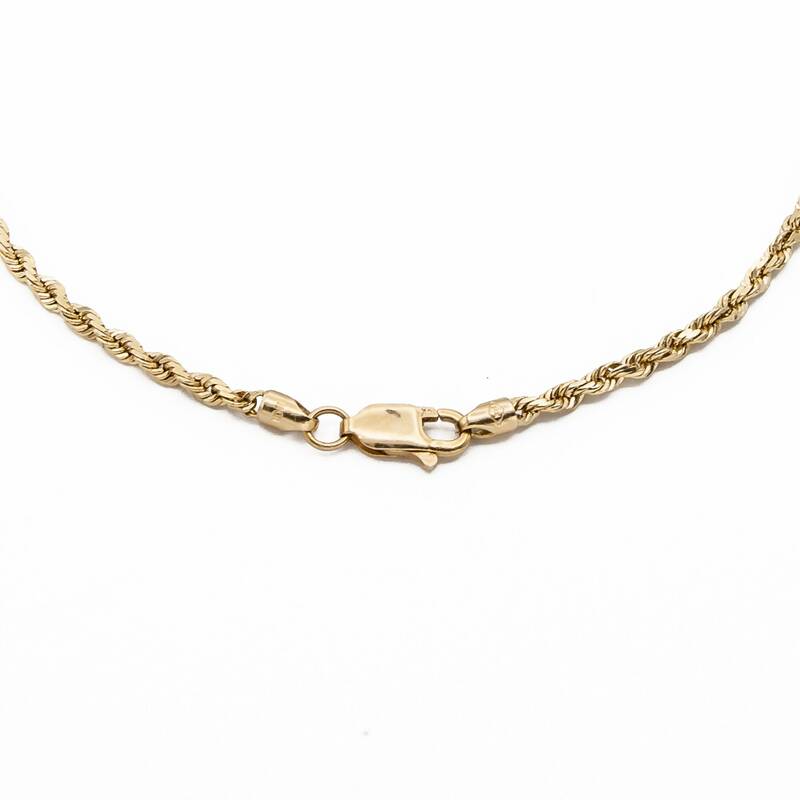 Never having been engraved, on the front cover, which is florentined, or the back, which has a beautiful butler finish, it could easily be engraved by us or your local jeweler. 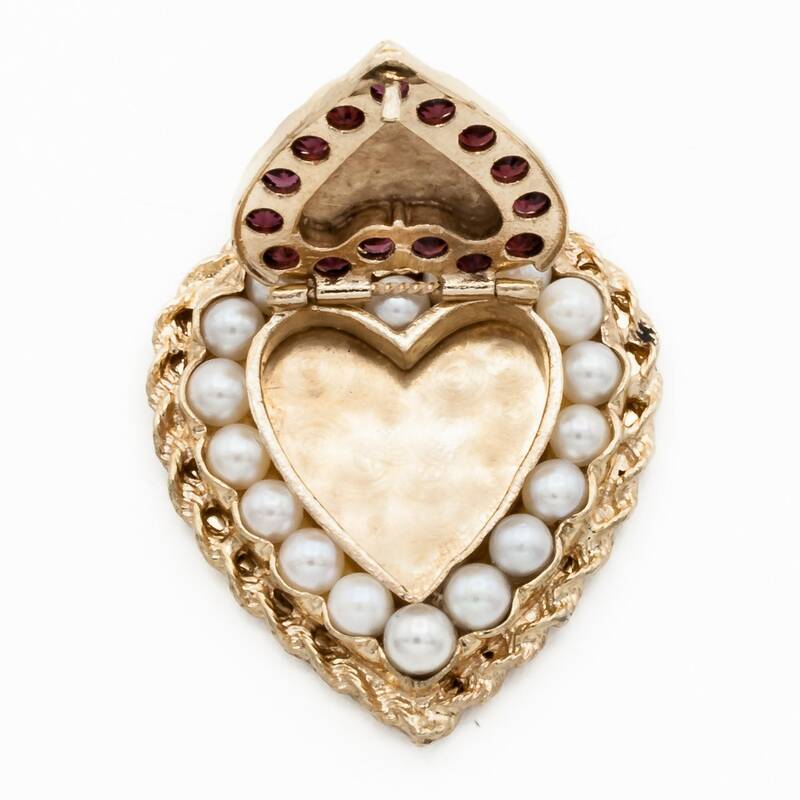 The front heart shaped cover lifts to expose an opening which would accommodate two photographs, or a lock of hair. 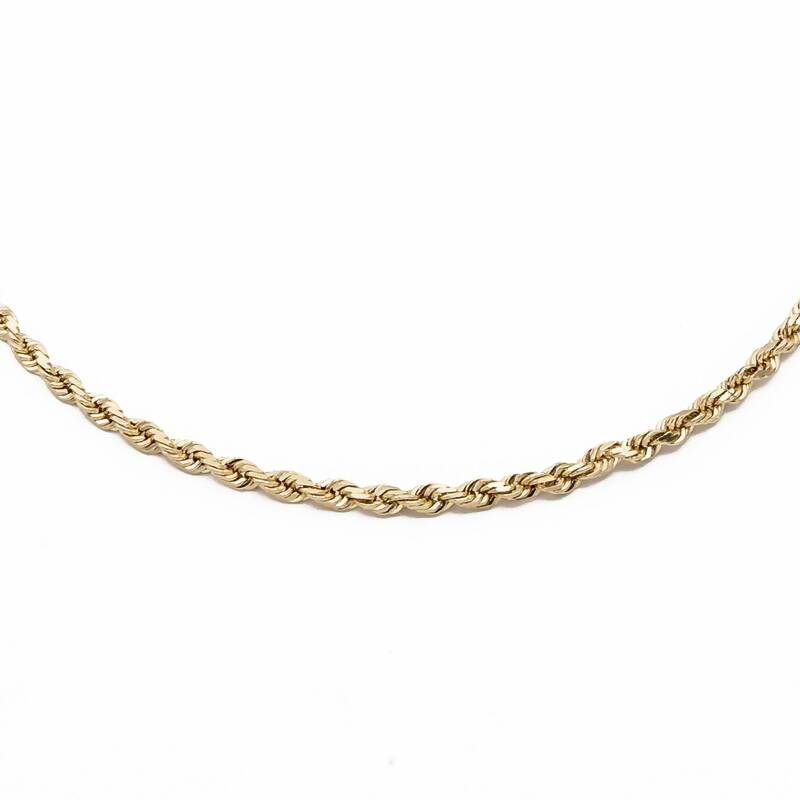 This most unusual piece shows no signs of wear and is in pristine condition with beautiful detailing in its gold rope trim. 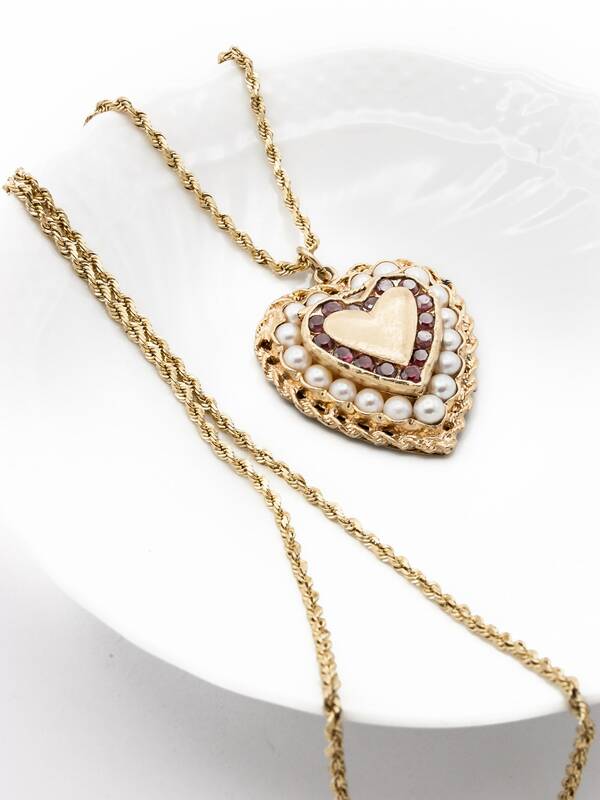 This rope gold chain is original to the locket and matches its trim perfectly. 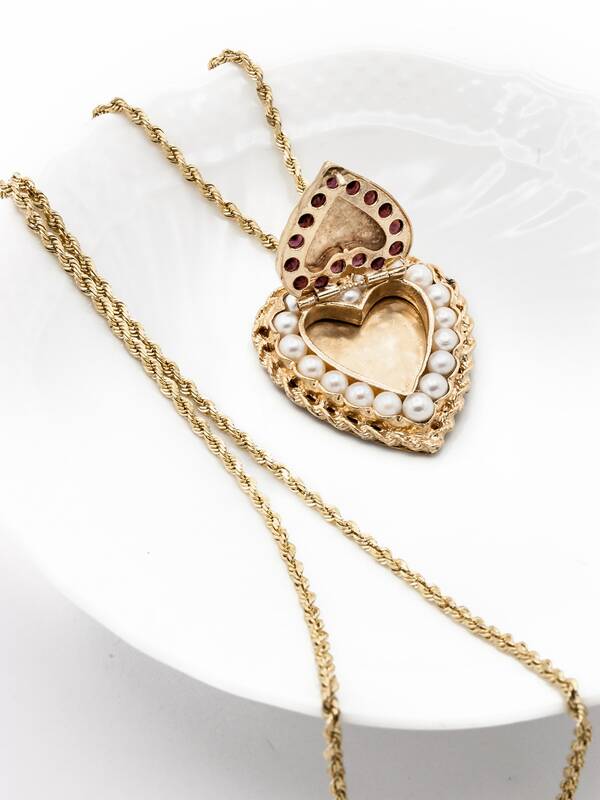 Like the trim on the locket, this chain is solid, not hollow, and very substantial in weight. It measures 20 1/2" inches inclusive of Lobster claw catch.